“Chandrababu’s rule of the last five years has been one of betrayal, treachery and deceit. The rule has been marked by injustice and despotism. Today, his candidates are all set to lose even their security deposits. Knowing this fully well, he has started putting in place controversies. I request you to note the kind of conspiracies that are being implemented. They killed my paternal uncle because they know that by eliminating him, they would have a free run in Jammalamadugu. They have then planned to blame his own family, his kith and kin for the murder and then arrest them. 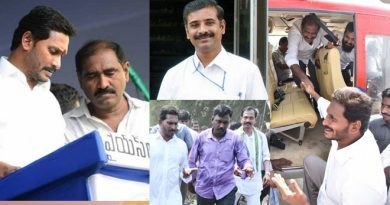 Thus, they would also have a free run in Pulivendula too as there would be none to lead the charge on YSRCP’s behalf in Pulivendula. He had reportedly asked his party men to be prepared to launch a campaign to thrust the blame on YSR. This only means that they can win only through conspiracies and falsehoods, and never by winning the hearts and minds of the peouple. So, he has planned to ensure that by inciting unprecedented violence, there would be no elections for the coming five years . 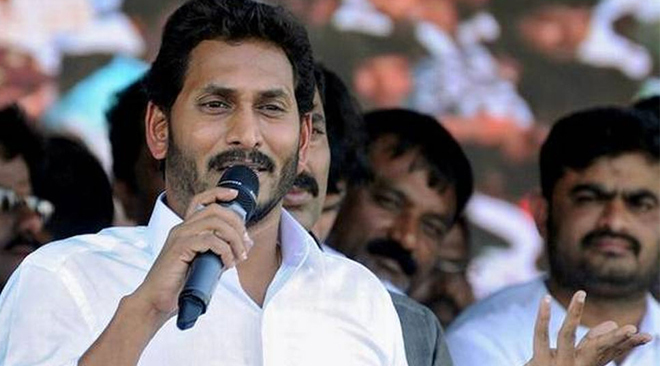 I am appalled by these nasty conspiracies,” YSRCP chief YS Jagan Mohan Reddy in a public meeting in Pulivendula on Friday.